There were few moments in his long exile from life since Mathias first turned him that Sinjen hadn’t wished for a heart and the emotions that lodged there. As he stared at the cell phone, Sade’s pleas echoing in his brain, he was glad that feelings no longer chained him. Did that make him a coward? Likely. Did he care? Not one whit. He’d wanted her the moment she strutted into his life. He’d been patient, had hunted, had seduced, had claimed. And he’d wanted to keep her. Until he couldn’t. Sinjen could no longer remember the woman’s name. Hadn’t thought about her, especially not after meeting Sade. Granted, she was attractive, with a face and body that most men would consider beautiful. But after Sade? Women faded into the background, like so much white noise. He swirled the whiskey, watching the lights sparkle through it. He hadn’t wanted to go to that bloody restaurant in the first place. Then Sade had stepped out to take a phone call. When she returned, the blasted woman was sitting in Sade’s chair, one hand squeezing his arm, the other his thigh, doing her best to look sultry and enticing. He hadn’t been interested. But Sade overreacted, as she did. So often he found her antics entertaining but that night? He’d been out of sorts. Missing her. Sade. Wanting to take her home to bed. The woman—what was her bloody name? His fingers tunneled through his hair and he forced his hand to return to the arm of the chair. Closing his eyes, he leaned his head back. But he wasn’t a coward. He rose from the chair, went inside, empty the whiskey he could no longer enjoy. Courage, he realized, was saying goodbye to the one woman who filled his death with life, so she could live hers to the fullest. And strength was watching over her from afar to ensure she she lived it. Sade deserved her fairy tale ending. And he would never be a prince. Sometimes, it takes courage to write a book when you struggle with the words. Sometimes, it takes courage to keep your mouth shut. Sometimes, the words that do come out hurt and it takes courage to type them. This book is going to be dark, and it won’t be on time, but it’s coming to life. What about y’all? Any courageous words to share today? 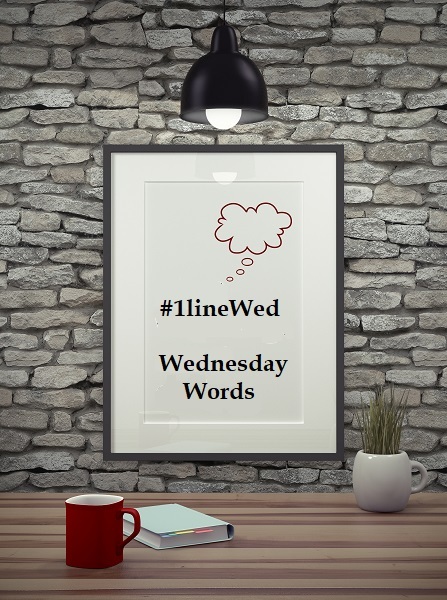 This entry was posted in Writing Life and tagged #1lineWed, Penumbra, quotes, series, snippet, stuff, Wednesday Words, WIPs, writing. Bookmark the permalink. I have no courage today. Actually, I have no courage most days. I hide here in my hole. My characters have courage, though. And that’s gotta be enough for me. Gah, how morose. Pay no attention to me. I need more coffee. I’m on my third cup. My form of liquid courage isn’t helping today. 😆 And you have plenty of courage! So do your characters. One more cup and then I’m going to tackle today’s hurdle. Yeah…I’m on that. Not.